William Busse, MD, can’t help but wax poetic when reflecting on his membership in the American Thoracic Society. “One’s first love becomes pretty important in one’s life,” says the professor in the division of Allergy, Pulmonary and Critical Care Medicine at the University of Wisconsin-Madison. Indeed, Dr. Busse’s relationship with the ATS began in 1976 when it awarded him a two-year research grant to help kick start his asthma laboratory at UW-Madison. Since then, he’s become a noted expert in the field and has gained recognition for his breakthrough research in eosinophilic inflammation and rhinovirus-induced asthma with more than 400 papers to his credit. To make sure that more generations of young investigators receive the support they need to make a similar impact, Dr. Busse has contributed heavily to the ATS Foundation Research Program. In May, during the ATS 2014 International Conference in San Diego, Dr. Busse’s career and philanthropy will be recognized during the Sixth Annual ATS Foundation Research Program Benefit as the ATS 2014 Breathing for Life Award recipient. 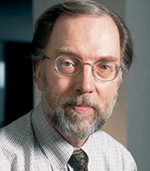 Dr. Busse, who won an ATS Award for Scientific Accomplishment in 2005, has received continuous funding for his asthma research through the National Institutes of Health, and he’s currently principal investigator of the NIH-National Institute of Allergy and Infectious Diseases Inner City Asthma Consortium, which focuses on immune-based therapy for asthma in inner-city children. “If you look at the epidemiology of asthma, the increases seen in the 1980s and 1990s have generally plateaued across the world,” says Dr. Busse, who co-edited the book Allergy: Principles and Practice and Asthma and Rhinitis. “However, in the inner-city–particularly for African American and Puerto Rican children–the asthma epidemic continues. Inhabitants of the U.S. inner cities appear to be at greater risk with a higher frequency of asthma, and disease that is more severe, and greater morbidity and mortality. Dr. Busse has served on the advisory council of the National Heart, Lung, and Blood Institute, an expert panel on the Guidelines for the Diagnosis and Management of Asthma, and the NHLBI’s Board of External Experts. He’s also served as an associate editor of the American Journal of Respiratory and Critical Care Medicine. Dr. Busse returned to UW-Madison to complete his residency and a fellowship in allergy and immunology under Charles E. Reed, MD, a leader in the asthma field at that time. “Dr. Reed was extremely important in mentoring my career as well as giving me both opportunity and direction in the laboratory. Dr. Reed was also instrumental in finding a position for me at the University of Wisconsin,” says Dr. Busse, who won the UW-Madison Folkert Belzer Life Achievement Award in 2004. Since joining the faculty in 1974, Dr. Busse has remained at UW-Madison. His mentees have included Robert Lemanske, MD, the head of the Division of Pediatric Allergy, Immunology, and Rheumatology at UW-Madison, James E. Gern, MD, professor of pediatrics at UW-Madison, Nizar N. Jarjour, MD, professor of medicine and head of the Division of Allergy, Pulmonary and Critical Care Medicine at UW-Madison, and William J. Calhoun, MD, vice chair for research in the Department of Internal Medicine Division of Pulmonary Critical Care & Sleep Medicine University of Texas Medical Branch at Galveston, Texas. In addition, Dr. Busse has had the opportunity to work closely with many of the post-doctoral fellows in the allergy and immunology training program for the past decade. “Always a rewarding experience,” he says. “Bill taught me the importance of not only individual drive and achievement, but also the value in reaching out and networking with other colleagues to create productive and collegial teams,” Dr. Lemanske says. “I soon learned the value of these interactions in promoting outstanding science that allowed our various research groups both locally and nationally to uncover disease mechanisms that would lead to the implementation of therapeutic discoveries and facilitate better patient care.